In 1821 the Romans consisted of the overwhelming majority of the population in the Balkans. (2) Because of this, as before, the entire Turkish geographical area of Europe under the Ottoman Empire, namely the Balkans, continued to be called Roumeli, or the land of the Romans. Despite this the Romans of the Balkans, united by the Church against so many hardships over the centuries, broke up, dissolved and assimilated because of propaganda and forged histories and became Romanians, Albanians and Greeks, while for those Romans who continued to know Slavonic the Russians established as separate states, such as Montenegro, Serbia and Bulgaria. Russians and Europeans never accepted the thought that they would possibly allow for Constantinople New Rome to once again become the capital of Romiosini. Instead the Russians after Peter the Great thought about banishing the Turks from the City, and taking the City as a Russian acquisition and not a Romaiic one. The designs of the Russians against the Ecumenical Patriarchate never differed from their designs in political matters. Every time the Russians gained territory that belonged to the Ecumenical Patriarchate, they absorbed it, making it a part of the Russian Church, or they made them independent of the Ecumenical Patriarchate. When the Patriarchate of Moscow was established in the 16th century, it only included the principality of Muscovy. Everyone in Eastern Europe except the Muscovite Orthodox belonged to the Patriarchate of Constantinople. 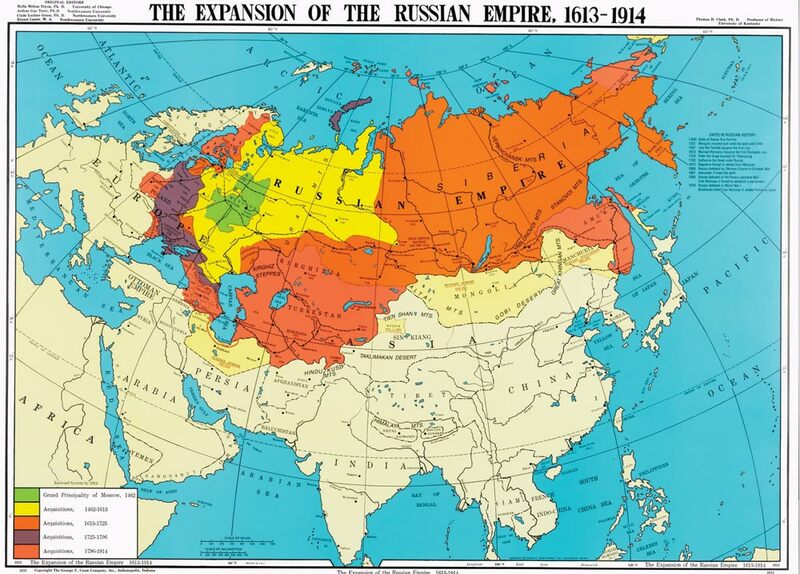 But every time Russians acquired territory where the population was under the Ecumenical Patriarchate, the Russians abolished the ecclesiastical sovereignty of Romiosini, adding the new territory to the Russian Church, and established Russian bishops over the population. A scandalous example of such ecclesiastical imperial assimilation is Bessarabia, or the Ukraine and Crimea. The Church of Georgia was also assimilated, but it gained independence once again after the fall of Tsarist Russia. The territory of the Balkans that was not conquered, the Russians took care to make into small states with autocephalous Churches, independent from Constantinople. This is how they made the Ecumenical Patriarchate to dissolve in the Balkans. Furthermore, the greatest betrayal against the Ecumenical Patriarchate and against Romiosini was the establishment of the Church of Greece within the Greek state in 1833, despite the protests of the hierarchs, and the breaking away from the Ecumenical Patriarchate according to the plans of the followers of Adamantios Koraes. From the beginning Russia was hesitantly against the partitioning of the "Hellenic land" from the Ecumenical Patriarchate. It did not agree with the up till then tactic of assimilating the conquered territories of ecclesiastical Romiosini. Moreover, it appears that until 1828 Russia was still undecided about if and how and when the dissolution or preservation of the Ottoman Empire in the Blalkans would contribute to Russia. From 1774 until 1828 the strategy of Russia in the conquered territories towards the Black Sea, the Balkans and the Caucuses was simple. Whatever it could not conquer, it made into semi-autonomous states under its protection, so that they could assimilate when the time was right. 2. See Hellenic Nomarchy, published by Anaximandros, 1971, Athens, p. 76 and so on. This work was published anonymously in Italy in 1806. It contains many errors in communication, which suggests it wasn't originally written in Greek, but in another European language. This is why "Hellenes" is a translation of the European "Greek" which at that time referred to the eastern Romans. See J. Romanides, Romiosini, Romania, Roumeli, pp. 205-224. This tells us that the Romans of that time consisted of around 75% of the population of the Balkans. Cf. Meletios Kalamaras, Are the Cassock-Wearers the Misfortune of the State?, Athens 1977.